Minuteproject (0.8.4) now supports ms-sqlserver. It has been tested with MS Northwind DB on sqlserver 2014. 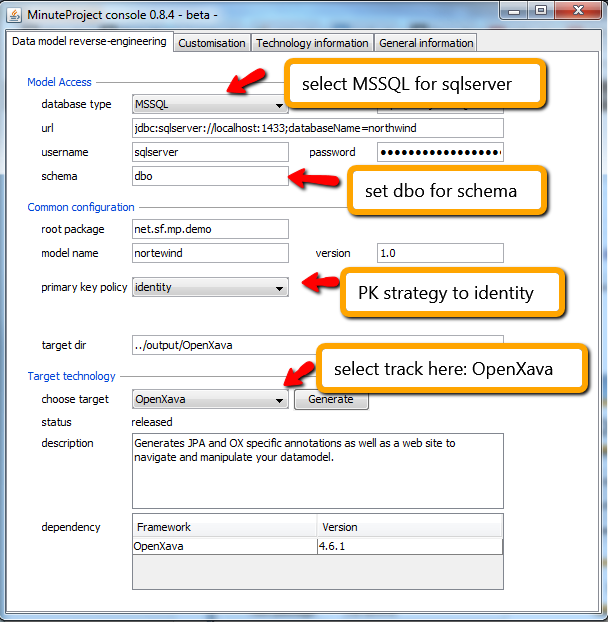 Here are the steps to follow to get an OpenXava application from the northwind DB. Get a working Northwind Openxava application in couple of seconds. For hungry minds please find the resulting code on googlecode. 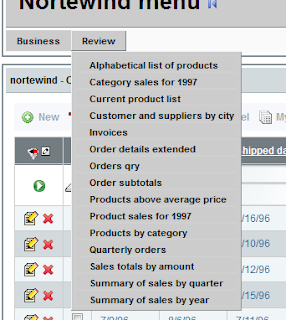 Northwind database is a sample DB provided by Microsoft. 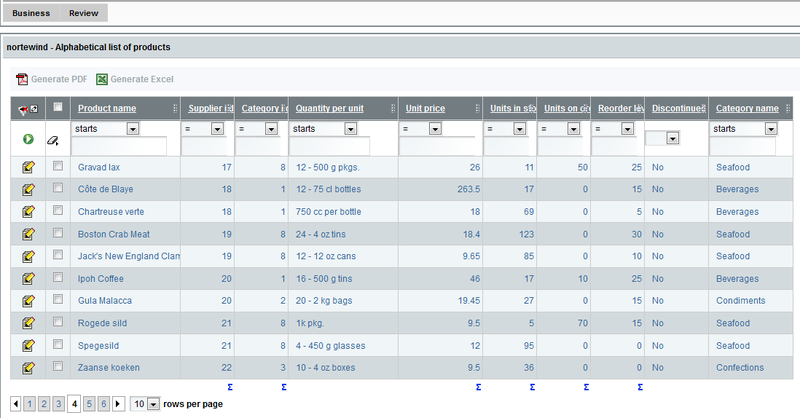 The sql provided to create the schema has DB objects (tables/views) containing space. 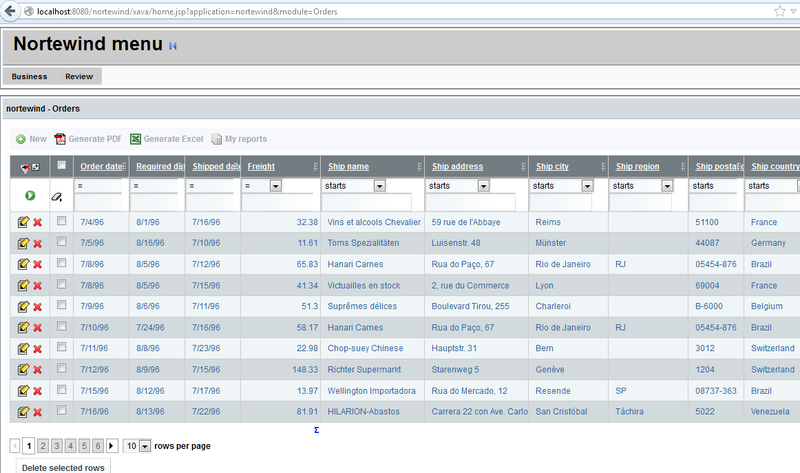 This sql has been revisited to remove those spaces a version can be found here. 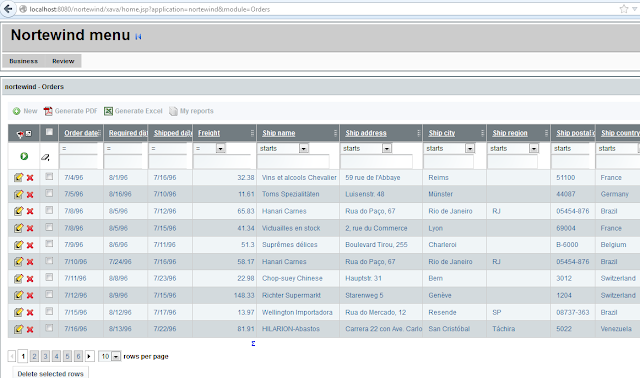 Furthermore when retrieving the metadata of your model, set 'dbo' of the schema node. 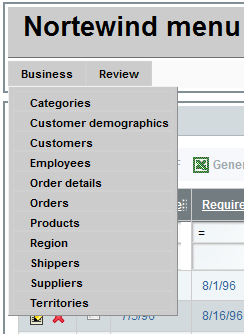 associate a primary key if not present. The primary key would then be attribute to the field ID if present otherwise the first found. have clean name (here not plurialized because northwind already use plural in DB object name) when possible (i.e. there is no variable name collisition - this occurs when you have more than one relationship between two objects). use the track OpenXava from the catalog. The code can also be generated with Minuteproject console, it is faster since you do not have to write any configuration. Meanwhile it is more limited since not all the convention are available on the console. You can them process with the same steps as with the configuration. 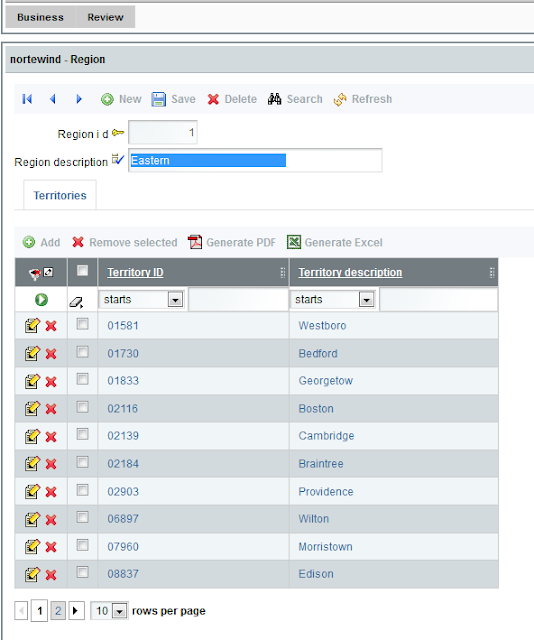 Minuteproject 0.8.4 offers sqlserver generation and simplifies the configuration of the tracks. Remark some tracks are under construction.